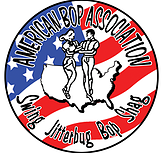 Founded in October 1996 and incorporated in December 1996, the Steel City Boogie Club is a private, non-profit, social dance club dedicated to the preservation and promotion of swing dancing such as the Jitterbug, East Coast Swing, Jump, Bop, Carolina Shag, and West Coast Swing. The SCBC was founded for the purpose of uniting the greater Pittsburgh community of swing dancers while providing an inexpensive place to dance on a regular basis. Our goal is to become a “family of friends” who become bonded together by our love of fast dancing and the music we play. Our music format is predominantly a rhythm and blues style, characteristic of fast dance music of the Doo Wop era in the 50’s and 60’s; however, we are not an oldies club. Most of the music played at our club consists of "new" releases made over the past decade.